The "release images" have become a little tradition in the GoboLinux world. Since 006 (when we started having a news section on the website), each announcement features a picture. Here they are, for your nostalgic pleasure! The image is related to an internal joke of the GoboLinux team about our speculations of how the world would react to our project: "GoboLinux!! Aaaaahhh!!!"... It was a product of going to Google Image Search and typing the appropriate keyword: "fleeing". It's official: GoboLinux 006 is out! Existing users don't need to reinstall from scratch (actually the idea is to never have to reinstall from scratch!). An upgrade mini-HOWTO will soon be posted on our mailing list. One of the main reasons dots were dropped from the version numbers was to get this version number (actually, it was because we couldn't settle on a proper dot placement, so instead we decided to adopt the octal scheme to critique the concept of "dot releases" and "version bumps" -- but you've got to admit that "version 007" sounds cool ;) ). 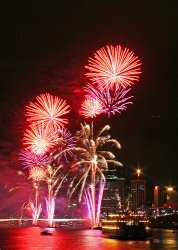 The image was designed by André Detsch. 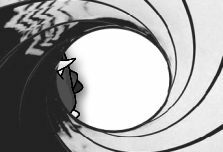 After some weeks of intensive work, GoboLinux 007 final is available for download (download it!). Since 006, there were major improvements all over the system, including the funcionality required to pack "Environment", "Daemons" and "Default Settings" information within packages (using the "Resources" directory). The LiveCD experience was also severely improved: now you can run even KDE and OpenOffice without touching your hard disk. With the use of IsoLinux, most (maybe all) of the compatibility problems experienced when trying to boot the 006 CD on certain machines are solved. If you have a GoboLinux 006 running, you don't need to reinstall it. Use the GoboLinux006-007 conversion script to turn your system fully compatible with the new scripts and packages. For GoboLinux 010, we didn't add an image. Instead, the whole site layout was updated, going from the slashdottish "black border around white content area" to a white layout more focused on the GoboLinux colors (purple-blue-turquoise gradient) and graphic identity, with hints of transparency here and there. A new look for a new era! GoboLinux 010 is out, with lots of improvements over 007. Among the new features are: a new installer, hardware detection, new custom themes. As usual, a number of packages were also upgraded. Some mirrors are still picking it up (check the updated list at the downloads page). GoboLinux 011 was launched to coincide with the V International Forum on Free Software, which take place in June 2004 in Porto Alegre, Brazil. Hisham designed a T-shirt to be sold at the event. He wanted a design that reminisced the World War II propaganda posters (one of André's subjects of interest). The result was a vectorized mascot in a "We want you" pose, and the line "GoboLinux - join the revolution". Rafael adapted it into the release icon. We are pleased to introduce GoboLinux 011, the new major release of GoboLinux, the alternative Linux distribution. This release features the introduction of Compile, a new source-based compilation system. Other distinctive features are the switch to the kernel 2.6 series (2.4 still included), adoption of the Xorg X11 server, and a large number of upgraded packages. Read the detailed release notes for more information. Choose your favorite download mirror and join the revolution! For GoboLinux 012, the vectorized Que is featured again. André asked for a suggestion for the release image, and Hisham said "I don't know, something that took a long time but now is complete", in an allusion to the long delays in the development of that particular release. André took matters with his own hands and did the cool sith mascot. 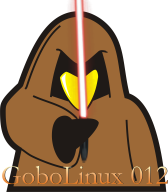 Nothing could be more apropriate, since GoboLinux 012 was released around the time Episode III came out, and indeed the Star Wars saga took a long time to be done but was now complete. We are pleased to introduce GoboLinux 012, the new major release of GoboLinux, the alternative Linux distribution. This release features the usual series of application upgrades, and marks the transition from devfs and Kudzu to udev and Hotplug, which should bring hardware detection up-to-date. It also features a number of improvements in the management tools, particularly the integration of the graphical management console Manager. Read the detailed release notes for more information and choose your favorite download mirror. Version 013 was almost released without an image, as it was late in the night while we tried to match our self-imposed deadline and everyone was so tired. Also, the site was redesigned for this release, like on 010, so we even had a suitable excuse. ;) But since we worked so hard to make this release as complete as possible, such detail could not be left behind. So Hisham made a sketch of the mascot in the style of the new icons of the website. We are pleased to introduce GoboLinux 013, the new major release of GoboLinux, the alternative Linux distribution. This release is the result of over an year of work on the build infrastructure used by the distribution. The new Live CD build environment is highly customizable and package building was overhauled by using a dynamically-generated sandboxed environment which insulates the source code and its dependencies during compilation. These under-the-hood improvements resulted in cleaner builds when bringing the package set up-to-date: major upgrades include Xorg 7.1, KDE 3.5.3, Glibc 2.4 and GCC 4.1.1. This release also features a number of improvements in the management tools, particularly new versions of Manager, the graphical management console, and Compile, the GoboLinux package building tool. Read the detailed release notes for more information. We are pleased to introduce GoboLinux 014, the new major release of GoboLinux, the Linux distribution with an alternative directory structure. Major upgrades include KDE 3.5.8, Glibc 2.5 and Xorg 7.2, as well as new versions of the GoboLinux management tools. Read the detailed release notes for more information and the full list of packages. Our first "point" release. We knew we didn't have the time to make a full release that year, but we wanted to get a release out of the door. So we planned to make a minor upgrade. In the end, even that ended up taking a lot of work! 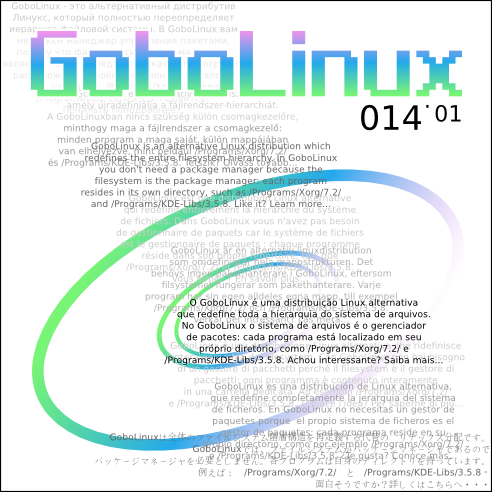 We are very happy to introduce GoboLinux 014.01, the new release of GoboLinux, the Linux distribution with an alternative file system structure. This release is our first "point release", providing a stability update for our latest major release, GoboLinux 014, which was released three months ago. Read the detailed release notes for more information and the full list of packages, including a list of which packages have changed from 014 to 014.01. Well, if we thought that the previous releases took "too long", well this one is almost a reboot of the project. The project was never really dead since many of us kept using it as our main production systems non-stop during this period. We had major plans for GoboLinux 015, where we wished to fix a number of design issues that we identified over the years — the central idea would be the conversion from the /System/Links tree to the /System/Index tree, with greater Unix compatibility. We were almost there circa 2010, thanks to the efforts of Jonas Karlsson, but due to a number of reasons we never got around to polish a user-friendly release as our previous ones. It was only in 2014, that we were to get a new version out again, when Lucas Correia Villa Real almost singlehandedly produced an updated release. 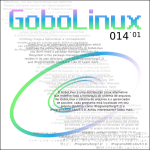 We are pleased to introduce GoboLinux 015, the new major release of GoboLinux, the Linux distribution featuring a rethought file system structure. This is the first full-system image release in a number of years, after a long period in which we kept only updating compilation recipes. Packages were built using both ALFS (Automated Linux from Scratch) and our custom dynamically-generated sandboxed environment which insulates the source code and its dependencies during compilation. Major upgrades include the Enlightenment 18 desktop and kernel version 3.14.2, as well as new versions of the GoboLinux management tools. Please check the Release Notes for details and download instructions. Finally, the 64-bit release. GoboLinux 016 was released almost 2.5 years after 015, but it included lots of changes. Lucas did the heavylifting of the "backend" stuff from the kernel, building packages and making sure it booted correctly in various system configurations, and Hisham worked on the "frontend" stuff, heavily customizing the Awesome WM configuration to make it a nice-looking and friendly desktop. For the release, Hisham also redesigned the website. It was the first complete revamp of the site since 2006. We are extremely happy to announce GoboLinux 016. This release, built for x86-64, is a complete update of the core system. The flagship feature of this release is Runner, a brand new tool for container-free filesystem virtualization. It brings Gobo's remarkable support for concurrently installed versions to the next level. We also overhauled our desktop, with a customized Awesome WM setup. Read more about what's new in GoboLinux 016 and download the Live ISO image to give it a spin! A bugfix release. This is the second time we made a "point" release. Our goal was to simply fix the issues reported with 016 and not really introduce a lot of new stuff. We are pleased to announce GoboLinux 016.01 after roughly 3 months and a half from the release of 016. While it features some essential package upgrades, this revision aims at providing a more stable foundation for those who want to try it out. The Live ISO can be downloaded from our GitHub page, from where you can also review the full change logs.